I’m back in the office after a short trip back to Ottawa for Megaphono — it was real nice getting to catch up with the CHUO & Ottawa Explosion crews and meet some rad new folks. Saw Un Blonde, Lido Pimienta, She-Devils, H de Heutz, Best Fern (above), and more great acts that I am forgetting… I also caught Priests back home in Montreal last night, and it was well worth the frigid trek down to the Casa — would definitely recommend seeing them live if they roll through your town. hi friends. my name is owen and i am hosting this radio program. i will play the best music youtube vids with sub 2k views recordings of people yelling stuff not made by humans the remains of the old internet empire songs made specifically to wreck computers and all your favourite hits. Intrigued? You should be. Dive into the rabbit hole every Wednesday in February,12-2pm EST or download the archives at ckut.ca. 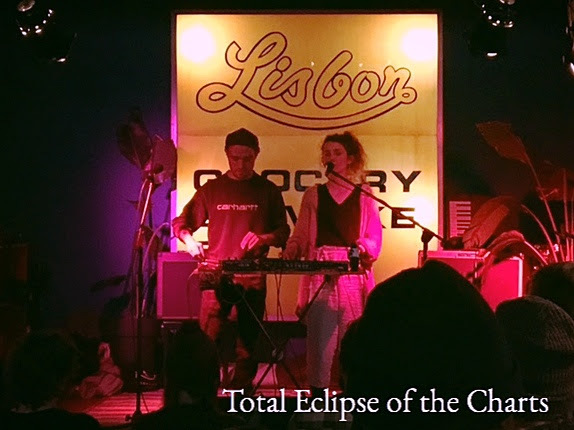 This entry was posted in Charts and tagged best fern, H. de Heutz, lido pimienta, megaphono, ottawa, priests, She Devils, specialty charts, top 30, total eclipse of the charts, Un Blonde on February 7, 2017 by CKUT Music Coordinator. 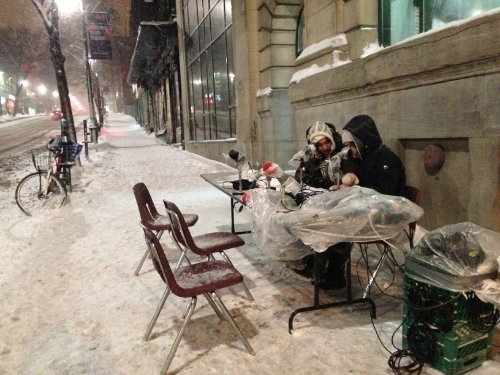 Busy times here in Montreal — the 11th annual Homelessness Marathon took place last week, and it was a pretty spectacular overnight broadcast complete with -20 celsius temperatures and plenty of snow. So much amazing programming focusing on the invisible homeless, abuse, Aboriginal housing, health care, accessible community resources, and oh so much more∑ Big thanks to everyone who participated and the 40+ stations across Canadian that aired segments of the broadcast. Full audio archives up soon on ckut.ca/homeless. Perhaps as a result of the 3-7am shift I ended up teching during the Marathon, my immune system has kicked out and I’ve been fighting an ugly cold for the past several days∑ Trying to tough it out, as my band is slated to play as part of a very exciting bill on Friday night w/ Mark Molnar and H. de Heutz, both of whom are amazing — will need serious energies to even try to act as a proper opener for such talented folks. This entry was posted in Charts and tagged H. de Heutz, homelessness marathon, Mark Molnar, total eclipse of the charts on February 27, 2013 by admin.